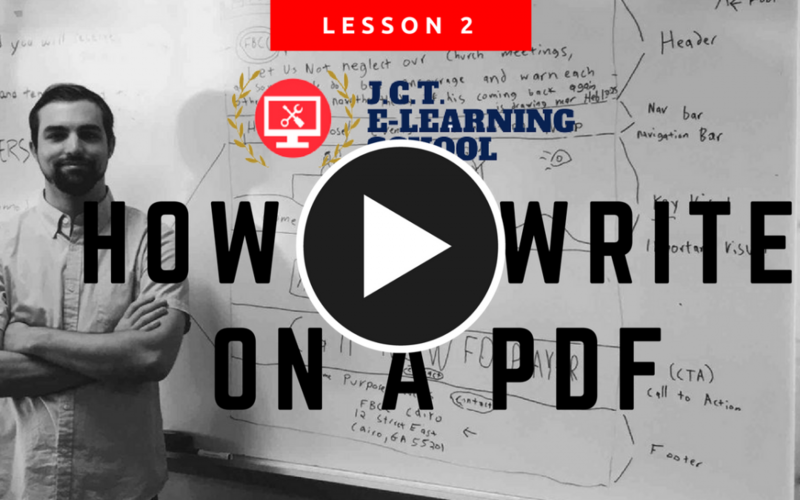 How to Write/Annotate on a PDF Document in a Flash! https://www.xodo.com/ is completely free and works in your web browser window so you don’t have to download anything besides a nicely saved PDF with your signature embossed on it. Your bestowed document will be ready for your doctor, attorney, client or whomever your recipient is. In the past, similar PDF annotation software would have either cost or offered a freemium version that would leave a giant watermark on your PDF. Just by going to Xodo’s home page and clicking the “Launch Now” button opens a section where you can drag and drop or upload any PDF. There is even an option to pull from Google Drive or Dropbox. Xodo gives you a simplistic editor that is designed to the likes of Microsoft Word. There are options such as text, text bubbles and a dropdown that allows signatures to your document. Here’s a video on how it works. Make $20 Today and Help My New Jax Company In The Process! 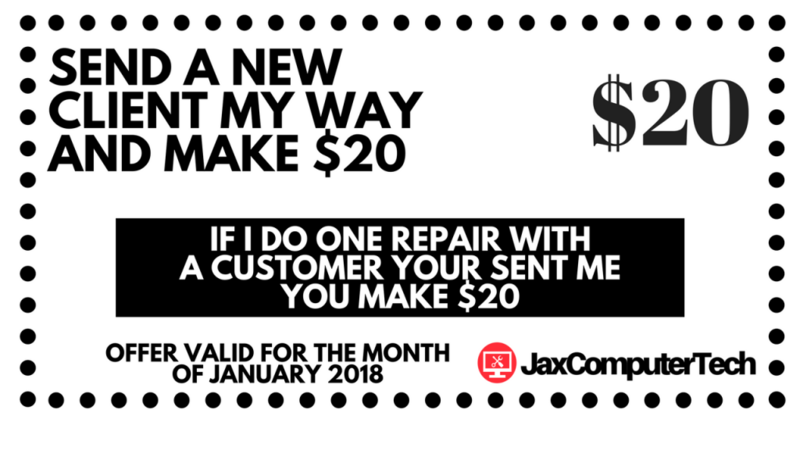 If you send me a new client in the month of January and I visit them for a repair I will send you $20 for helping out my new company. I’m still slowly growing the company and any help with a referral would be great. Grand Opening Sale: Jax Computer Chic is Now Jax Computer Tech! Ray Ross on Grand Opening Sale: Jax Computer Chic is Now Jax Computer Tech! Chris Lane Jones on Grand Opening Sale: Jax Computer Chic is Now Jax Computer Tech! Mary G Beissinger on Grand Opening Sale: Jax Computer Chic is Now Jax Computer Tech!